We all know how important healthy eating is. But we all also know, that healthy eating isn’t always the most feasible. For one or more of these reasons: not readily available, pricey, troublesome, or simply not being convenient or tasty enough. 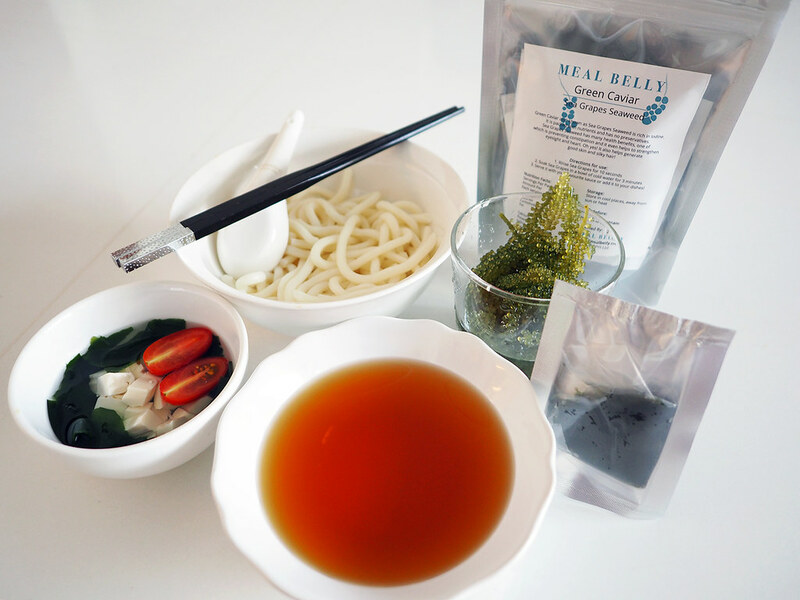 Meal Belly intends to try change all of that, starting with one super ingredient! 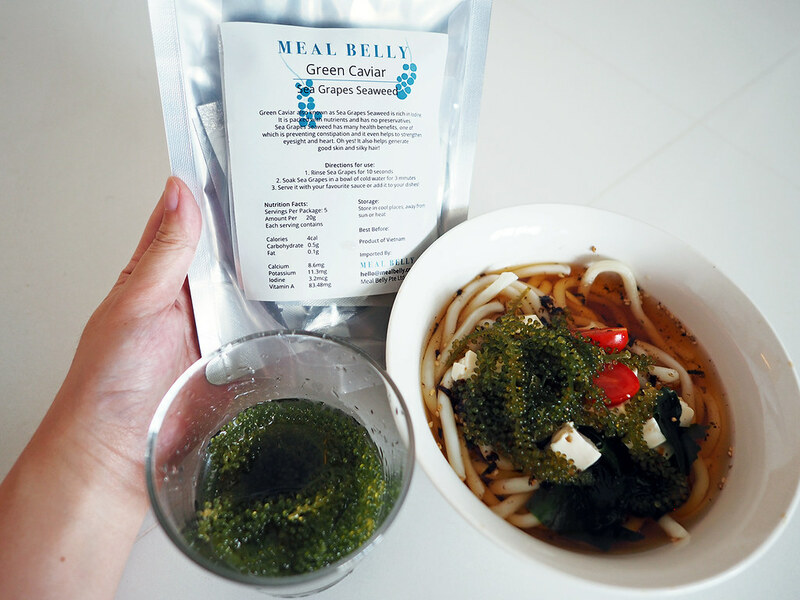 Founded in September 2016, Meal Belly is an online retailer specialising in gourmet ingredients and pioneers its flagship product, Green Caviar, through its e-commerce platform, www.mealbelly.com. 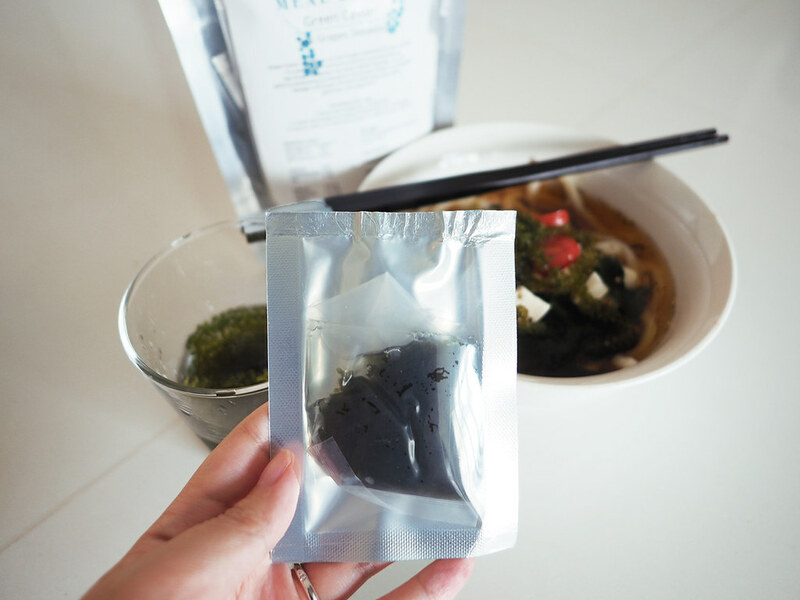 They’re the first to launch Green Caviar, so you no longer have to travel overseas to have a taste of this product. 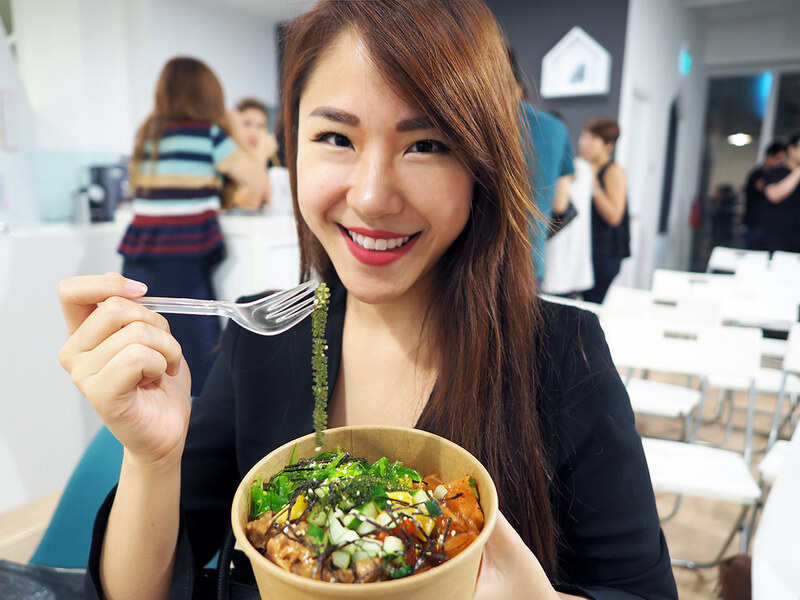 It can only be readily purchased on www.mealbelly.com in Singapore, and will be delivered in 1-2 working days to your doorstep! Safe for consumption for kids, expecting and breastfeeding mums in moderation – it also has high contents of iodine, which is ideal for them! 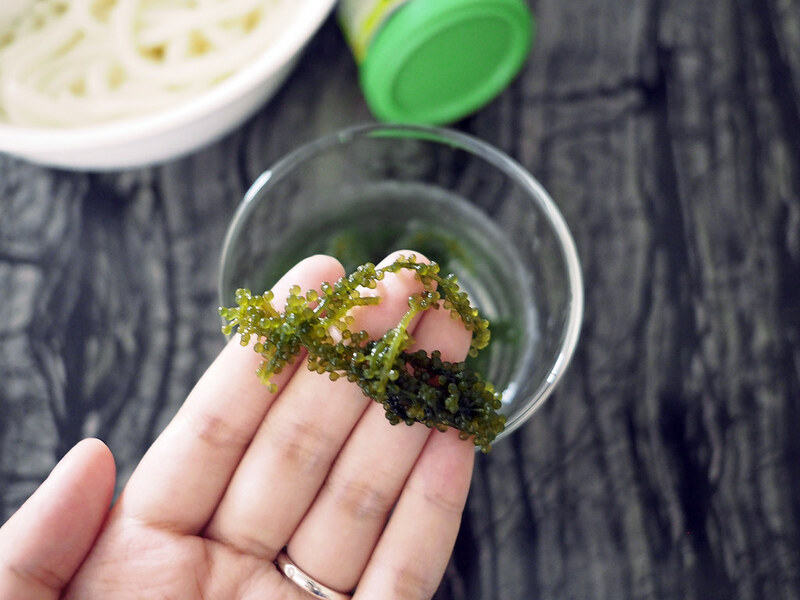 Considering there are so many benefits to this super seaweed, I was really interested in trying to incorporate this ingredient in my everyday meals, so here’s a super quick and easy recipe to share with you guys! 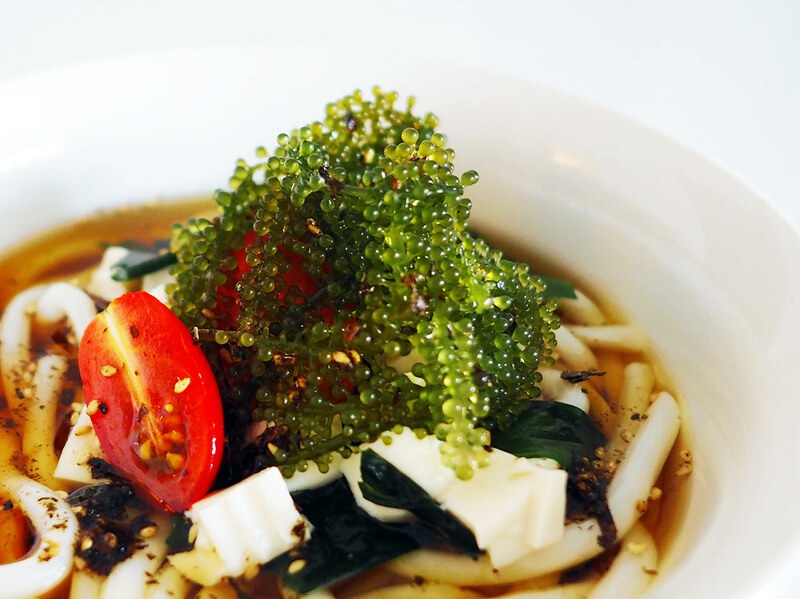 Combine udon sauce, cold water, cooked udon, tofu, wakame and top off with Green Caviar, then serve cold! Done in 5 minutes. So preparing Meal Belly’s green caviar is completely fuss-free and idiot-proof, you’ll be surprised at how simple it is. They come packed in little sachets of 20g such as these, and also in 100g & 200g. They’re sealed fresh and they really do still smell of the sea! The texture is rather mushy and doesn’t look like much in this state. But just wait a few minutes and watch this seaweed spring back into life before your very eyes! After rinsing, I dunked it in a cup of ice cold water for a few minutes.. then I saw the seaweed getting plumper and grow in size, which was really fun to witness!!! After just 3 short minutes, this is what you’ll end up with. A whole bunch of fresh Green Caviar! They do resemble sea grapes, huh? I find them strangely adorable!!!! Don’t soak them in water for longer than a few minutes, because they’ll lose the crunch and texture, then return to the mushy state it was in before. It is advisable to rinse and soak them thoroughly so that they’re not too salty – they’re packed freshly in oxygenated water, so a good rinse will help reduce the sodium content before your immediate consumption. 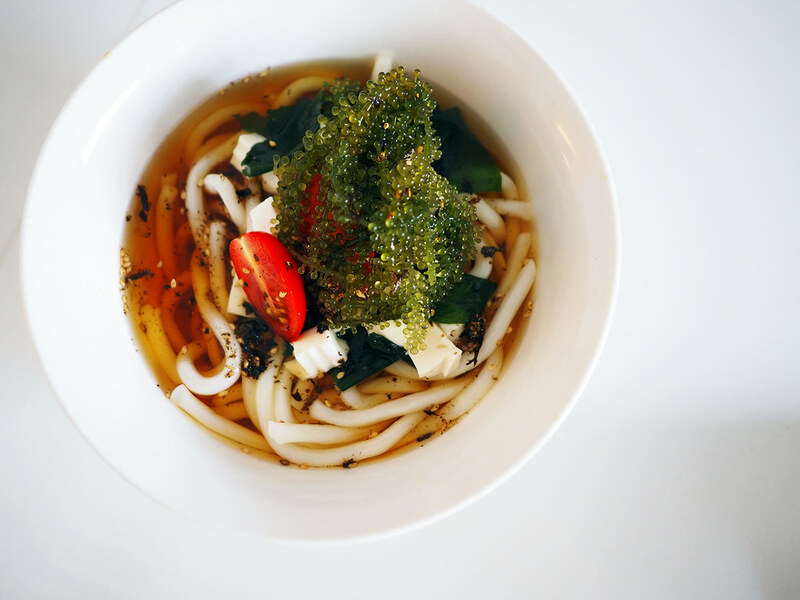 I chose this cold udon recipe to pair with Green Caviar because I wanted to keep in line with the whole fuss-free, healthy eating theme. Also, because Green Caviar is famed as an Okinawa delicacy, I had to pay tribute to Japanese cuisine. 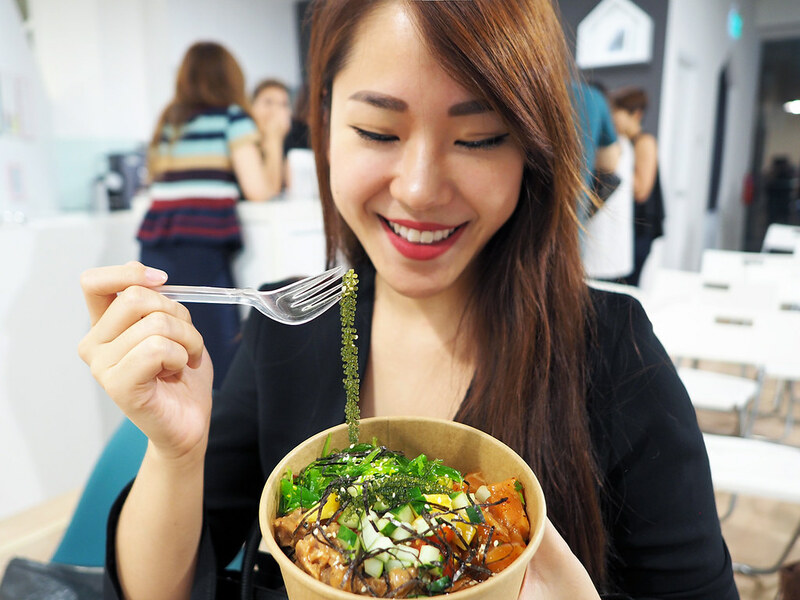 I really enjoy cold dishes because it’s so refreshing to have them in Singapore’s sweltering heat! I really enjoy Green Caviar’s crunchy texture and versatile nature, and can see myself including this as a topping to many different dishes. Salads, pastas, side sishes, and even soups! 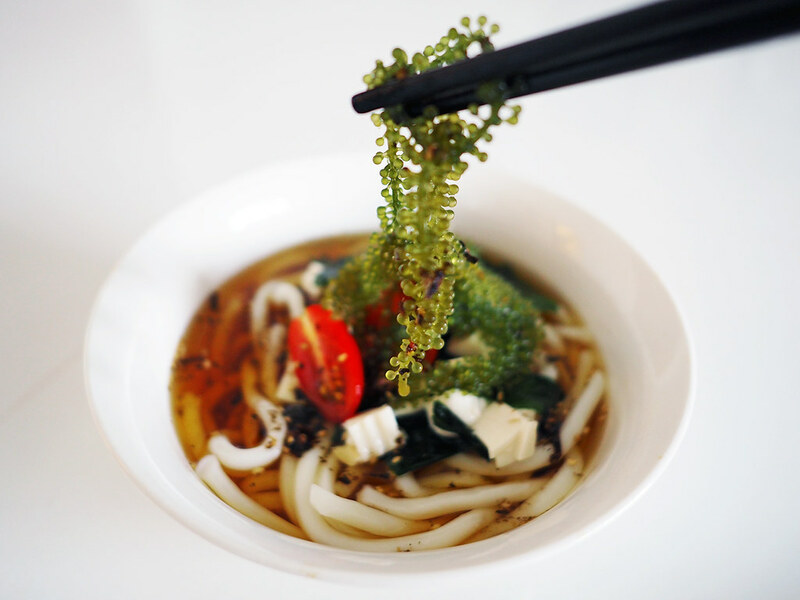 It tastes like seaweed – slightly of the sea, slightly salty, but mild enough to accompany any type of sauce you soak it in. I think it’ll be pretty delicious in something tangy and spicy. I’ll try it with Thai sweet chilli next! 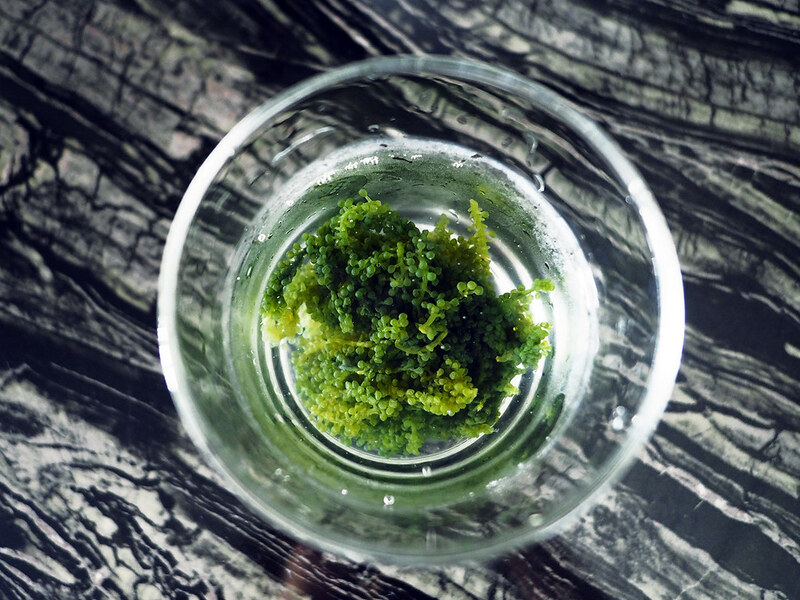 A tasty and affordable superfood, Green Caviar packs a nutritional punch. Here are some of the benefits of the vitamin and minerals that it contains. 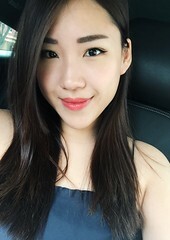 Vitamin A: Helps to maintain a healthy eyesight and promotes skin regeneration for better skin. Vitamin C: Strengthens the immune system, prevents stroke, cardiovascular and other diseases. Calcium: Keeps bones strong, which prevents onset of osteoporosis.Iodine: Prevents thyroid disease, which can lead to dry skin, constipation, weight gain, fatigue and other symptoms. Potassium: Helps to maintain a healthy blood pressure, maintain bone density, and prevent cardiovascular disease. 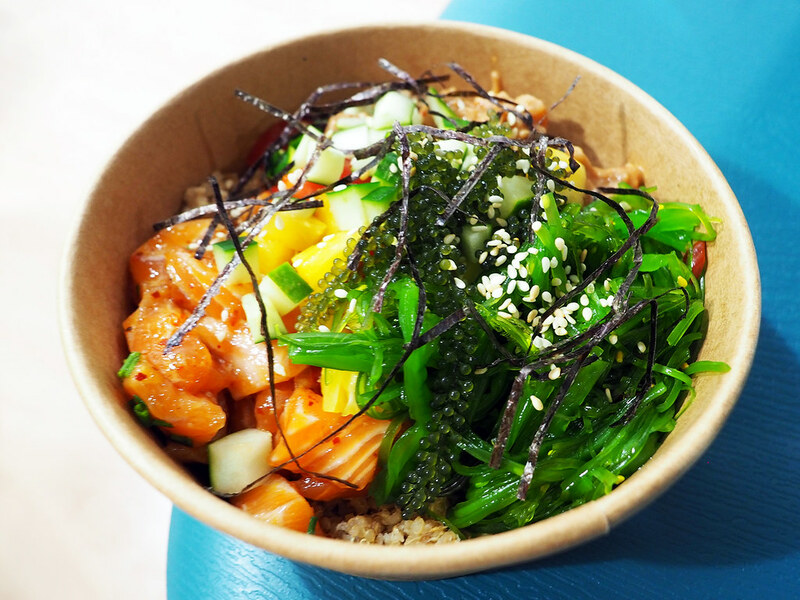 When I attended an event to learn more about Meal Belly’s Green Caviar, they served it up in a poke bowl, which is a Hawaiian concept for raw fish salad! As you can see, Green Caviar is commonly associated with other healthy foods because of its highly nutritional contents. Personally I think this is a great ingredient to have in my cabinets at home, because it’s so unique – I can bet that whoever I prepare this for will ask, “What is this? !” and it’s a sure conversation-starter! I feel it would go particularly well with canapes, something I love doing for events and house parties. Green Caviar stores for at least 8 months in your fridge while sealed tightly in its original packaging, so you don’t have to worry about its shelf life either. you don’t have to worry about its shelf life either. 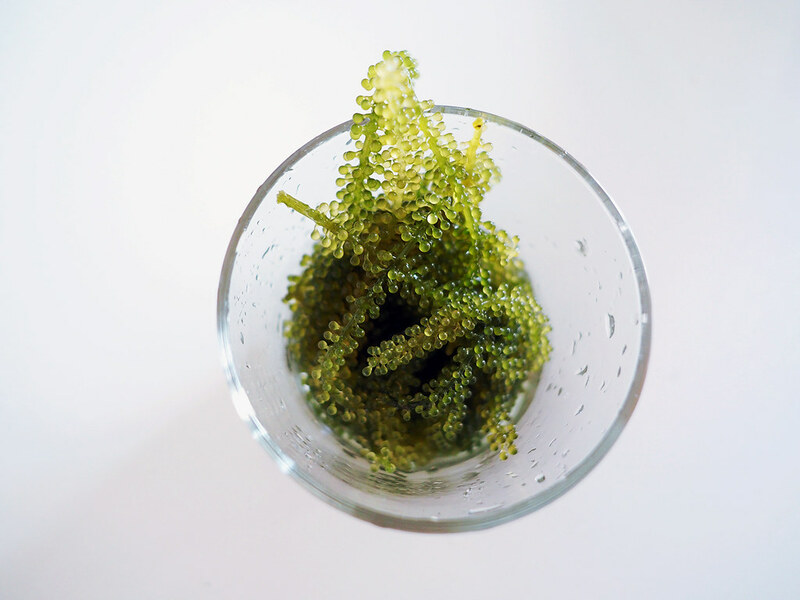 Due to the rise of superfood and healthy eating among consumers, the farming of green caviar has spread from Okinawa to other Asian countries, such as South Vietnam where it’s farmed and then harvested by hand for your enjoyment. 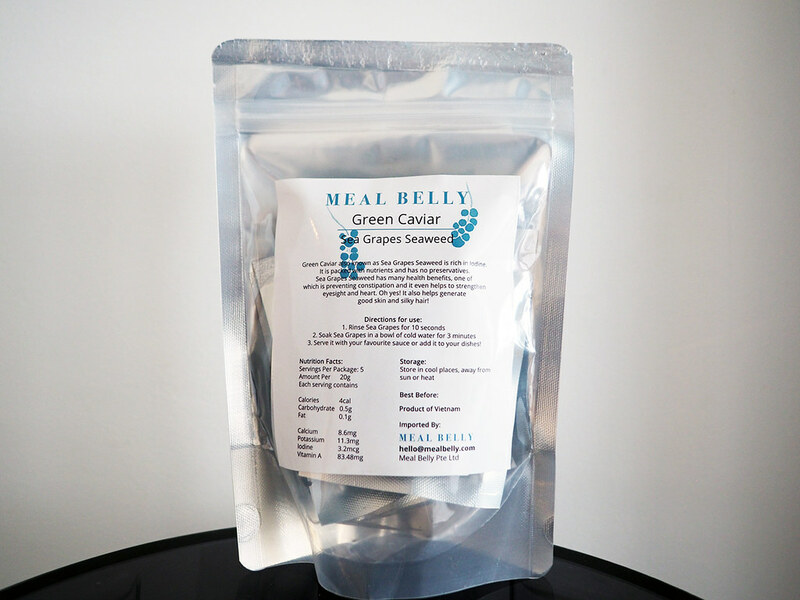 Meal Belly is the only store stocking this product now, so hit up their website to stock your kitchen with this unique superfood! Enjoy up to $16 off from now till end January. Enter “Shibertyxmb” to receive additional 10% off!